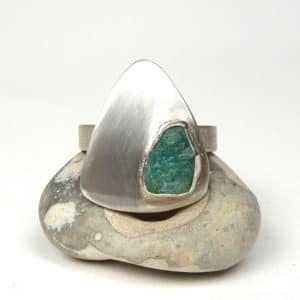 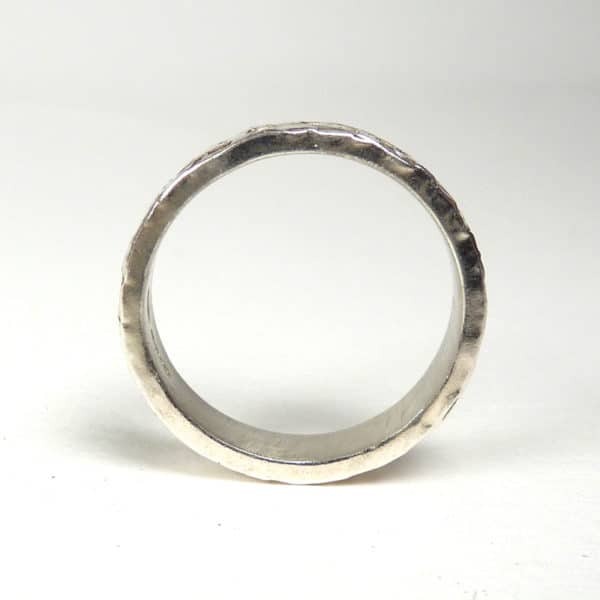 A chunky hammered ring that will work with everything. 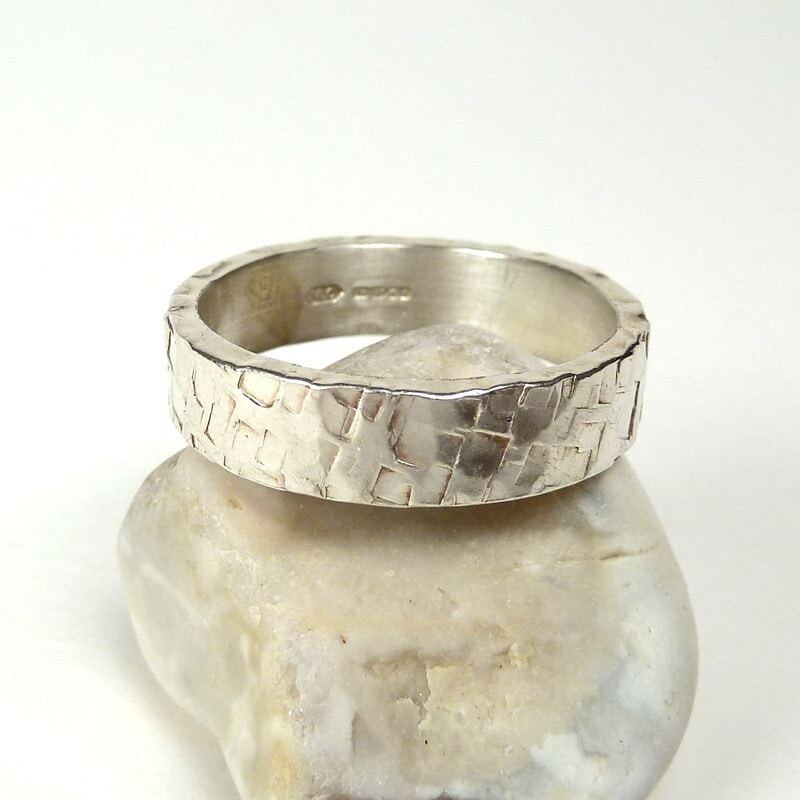 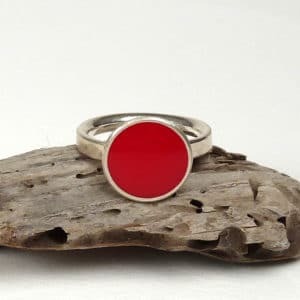 Sterling silver hammered ring. 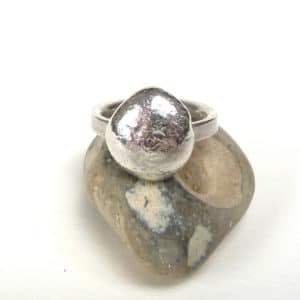 Made by Natasha and hallmarked at The London Assay Office. Size: Q. Width of band: 5mm. 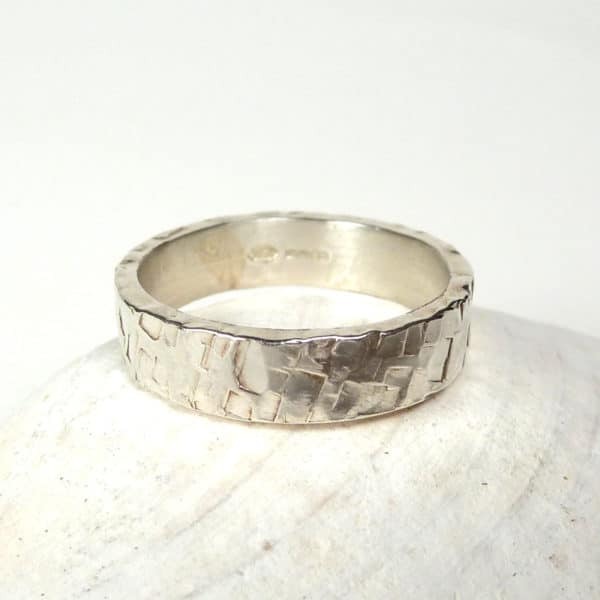 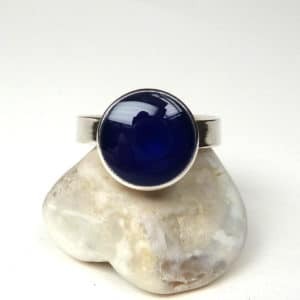 These rings can be made in any size and different widths but please allow up to two months for a bespoke ring. Please call Natasha on 01273845582 to discuss your requirements.